Jimmy Vicaut 2x100m, 15 min Recovery... in a Race? 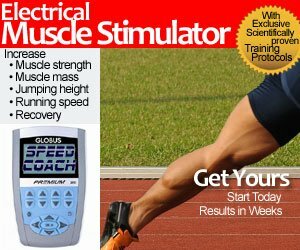 Jimmy Vicaut 2x100m, 15 min Recovery… in a Race? Pretty impressive fitness for Jimmy Vicaut and Richard Kilty at the Spitzen Leichtathletik Luzern meet yesterday. 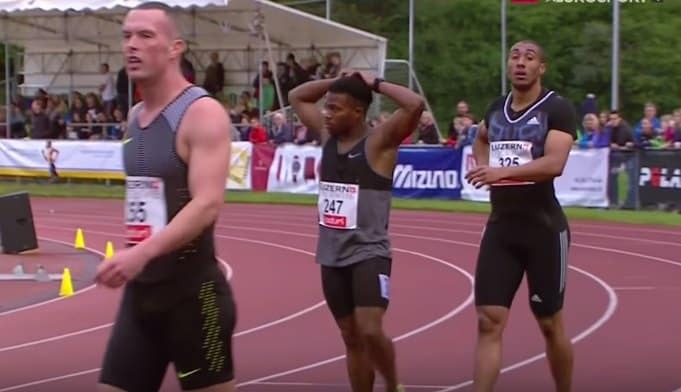 Both of these men, along with BeeJay Lee (who has a PB of 9.99 from 2015), ran the full 100m despite a false start using a beeping signal, not a gun shot, to call back a race. No problem, both Vicaut and Kilty walk back to the starting line, get to the On-your-marks position again, and race again. Vicaut runs 9.98 in the first race, followed by the official 10.09 (-0.6). The recovery was about 5 minutes, which included a walk back.